This recipe gives u a very tasty n simple Toordhal Curry preparation using Microwave Oven, if u r not looking for anything special.This Thick-Dhal Curry(Ketti Paruppu Curry) is the best combination for rice and Rasam. Try at home and O.K this dish. Take a microwavable bowl,add 2 tsp refined oil,chopped onions,mustard seeds,remaining(1/2 tsp) cumin seeds,whole red chillies and curry leaves.Microwave this on high for 2 minutes. Take the bowl out and add cleaned toor dhal,chopped onion,chopped tomato,turmeric powder, asafoetida powder,green chilli,1 tsp cumin seeds,few coriander leaves,salt and garlic pearls. Measure 800 ml water and add it to the bowl.Mix them well and microwave them on high for 45 mins, stirring this every 15 mins. Then take the bowl out and sprinkle ghee on top and garnish with coriander leaves. Now this tasty Thick Toordhal Curry is ready to be served with rice and rasam. 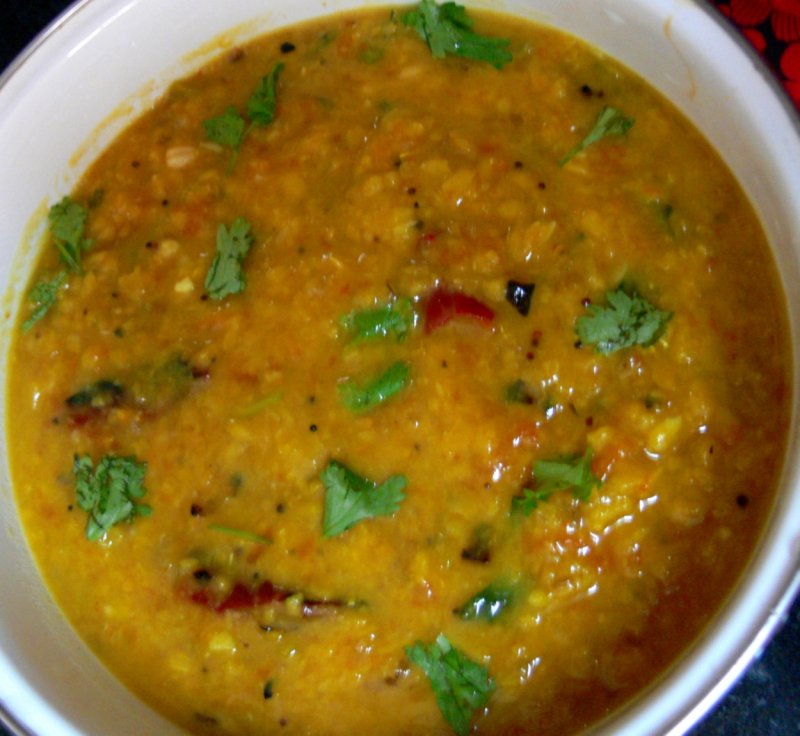 Hi rabz,no need to soak the dal for this recipe.Sorry for late reply. Do u need 2 soak the dal before hand?